Get ready to add some tracks to your baking playlist. 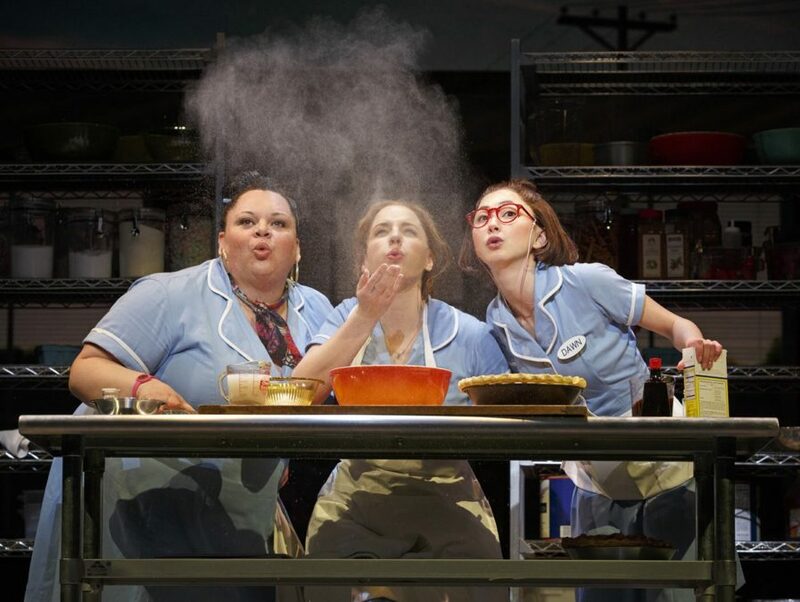 Waitress, the new musical featuring a score by Sara Bareilles, will release a cast recording. The DMI Soundtracks album will be available digitally on June 10 and in stores on July 1. The production boasts an all-female creative team; Bareilles is joined by director Diane Paulus, book writer Jessie Nelson and choreographer Lorin Latarro. The show, starring Tony winner Jessie Mueller, began previews on March 25 at the Brooks Atkinson Theatre, where it is set to open officially on April 24. Based on the film of the same name, the show follows Jenna, a small town waitress in a loveless marriage. A local baking contest and a new doctor shake up her life as she’s torn between her commitments and—with the help of her pie-making expertise—a chance at freedom. In addition to Mueller, the cast of Waitress features Tony nominee Nick Cordero, Drew Gehling, Keala Settle, Dakin Matthews, Eric Anderson, Christopher Fitzgerald, Kimiko Glenn, Thay Floyd, Molly Hager, Aisha Jackson, Ragan Pharris and Ryan Vasquez.